If you are a high-caliber individual seeking for a challenge and job fulfillment, then you are on the right page. We need someone like you to fill in the positions advertised below. If you do not find a position of interest now, worry not. 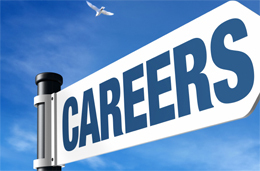 Simply check again in the near future as we consistently update our careers page. Responsible of creating demand for the company products especially medical equipment through aggressive promotion and constant coverage to the end user. Meets and exceeds monthly sales target. Female/male at least 20-30 years old. Proficient both in oral and written English communication. With strong dedication to work and aggressive. Mature, motivated and result oriented individual. Can work well under pressure with less supervision. Must possess a good moral character. Sales background is an advantage. Willing to be assigned anywhere.